Art Everywhere US launches today. 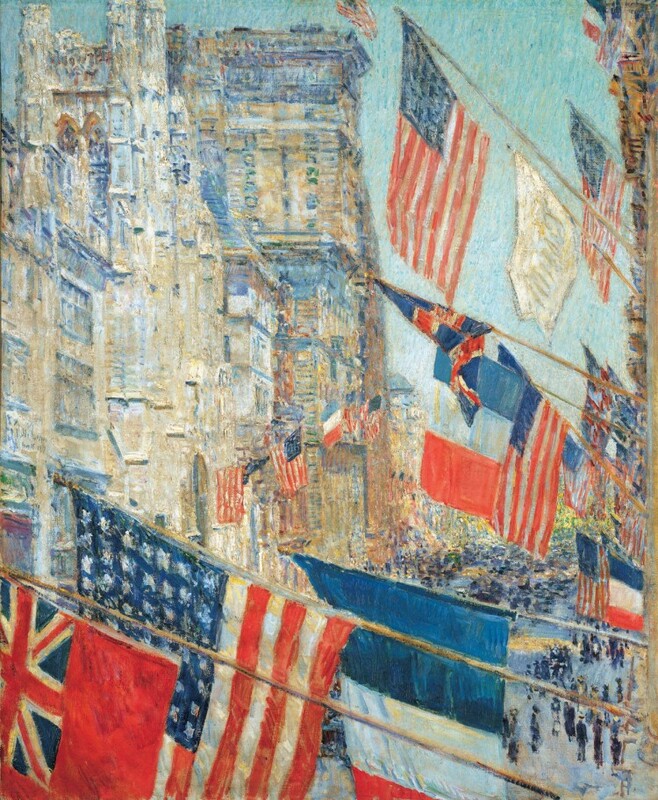 From now through August 31, as many as 50,000 digital and static displays in all 50 states—billboards on city streets and rural highways, displays on bus shelters and subway platforms, dioramas in airports, videos in health clubs, trailers in movie theaters and more—will present 58 works of great American art. The nationwide celebration of America's artistic heritage was conceived through a collaboration amongst museums, the Outdoor Advertising Association of America (OAAA) and its members, co-operating with artists, estates, foundations, and rights agencies. The 58, which span 230 years of American art, are drawn from the collections of five major museums across the country—the Art Institute of Chicago; the Dallas Museum of Art; the Los Angeles County Museum of Art (LACMA); the National Gallery of Art, Washington, DC; and the Whitney Museum of American Art, New York. The work, selected through public vote on www.ArtEveryWhereUS.com, reflects the history of America, a nation finding it's way. Grand depictions such as John Singleton Copley's dramatic oil painting of a young-boy who attacked by shark in Havana Harbor (1778) and Gilbert Stuart's portrait of George Washington (1821) contrast the romanticized imagery of rural America that Grant Woods offers in American Gothic, Georgia O'Keeffe in Summer Days (1936) and the growing cities and industrialization depicted in Edward Hopper and Charles Demuth's static city scapes. 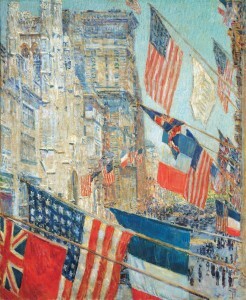 Politically influenced pieces tell the story of America's positioning in the world such as Childe Hassam's Allie's Day, May 1917 representing the patriotic whirlwind that overtook Manhatten's Fifth avenue as America entered World War I and also it's national conflicts in Harvest Talk (1953) by Charles Wilbert-White conveying African-American history. Intimate insights, inspired by European counterparts, offering a glimpse into American life and fashion can be found in Mary Cassat and John Singer Sargent's portraits. Great abstract works are on view, such as those by Willem de Koonig and Mark Rothko but it is in the 50's-60's that the US sets its mark on the international art world. setting new precedent for the movement Pop Art represented by Jasper Johns and Andy Warhol. 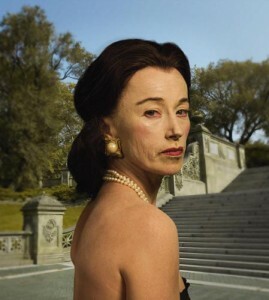 The most recent work on view, Untitled Portrait from 2008 by celebrated photographer Cindy Sherman, holding the auction record for most expensive photograph truly reflects America's current status as art world pioneer in new mediums and movements. Richard Reed, co-founder of innocent drinks, first launched the Art Everywhere concept in the UK and Nancy Fletcher, President and CEO of the OAA was happy to follow suit in the US. As the billboards went live on Times Square Fletcher stated, "Art Everywhere US is the latest and most spectacular chapter in our industry's long history of contributing its resources to the public service. We are deeply grateful to the five museums for enabling us to bring this astonishing survey of America's artistic heritage directly to the people." 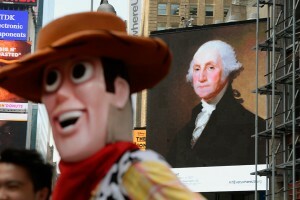 Woody and George Washington at Times Square, New York.